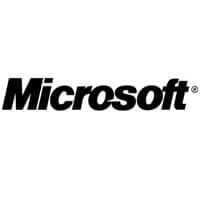 Windows Phone 8 is to come with both NFC and a mobile wallet that Microsoft will deliver in partnership with mobile network operators, the company has revealed. Windows Phone 8 is to come with native support for NFC and include a mobile wallet, Microsoft’s Joe Belfiore, corporate vice president of Windows Phone, has announced at the Windows Phone Summit 2012.
Credit and debit cards, loyalty and membership cards and deals will all be supported, Belfiore revealed, describing the new wallet as “the most complete wallet experience.” Both peer-to-peer data sharing and NFC tag reading will also be included. Microsoft will not be competing with carriers for secure NFC revenues, however. Instead, secure NFC services will be available only via an NFC SIM provided by a mobile network operator. Orange France has been announced as Microsoft’s lead mobile operator partner. Other partnerships are in progress, including a deal with Isis which should see the US carrier joint venture offering Windows Phone support in 2013. Windows Phone 8 is due to ship during the autumn of 2012. Update The launch presentation for Windows Phone 8 shows how Microsoft plans to make its NFC mobile wallet more widely accepted than Google’s, provides details of a forthcoming NFC-enabled Chase payments app and highlights a new deals platform and in-app purchasing technology that charges items to the user’s default payment card.